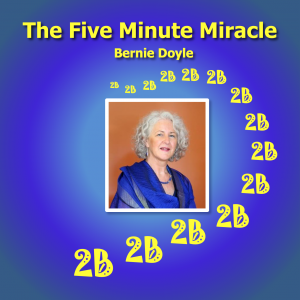 The Five Minute Miracle is an audio based guided meditation for you daily use. I call it “The Five Minute Miracle” because if you spend 5 minutes each day with yourself and give yourself your full attention; miracles happen. The Five Minute Miracle can be purchased through BandCamp. It has 7 tracks and comes with an accompanying guide booklet in PDF format that you can print and use to help your meditation.